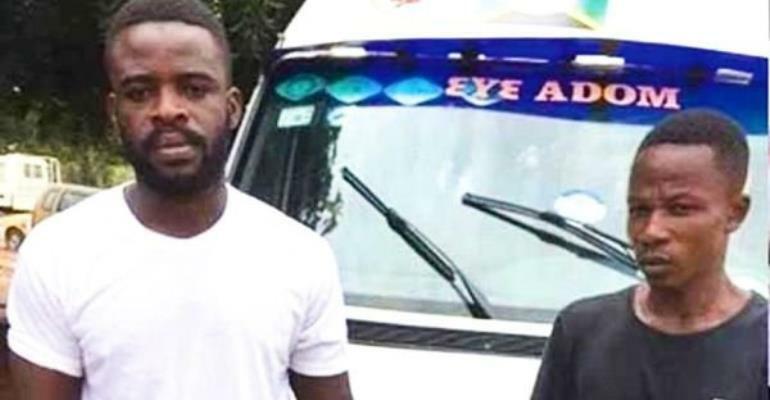 An Accra Circuit Court has today, April 1, 2019, set April 15 to commence the prosecution of the bus driver and his mate who stands accused of assaulting a police officer. The Circuit Court at Weija in Accra set the trial date after prosecutors tendered in evidence they intend to use against the two and furnished the defense team with same. The two first appeared in court on March 18 where they were charged with four counts including assaulting a police officer. They were remanded into police custody until April 1; but last Friday, a team of lawyers, led by Martin Kpebu secured bail for them. A member of the defense legal team who spoke to Joy News’ Joseph Ackah-Blay noted that they will follow up on an allegation of brutality against the suspects by police while they were in police custody. “…once we have the necessary evidence, then we will advise on the steps to take,” Cynthia Nimo Ampredu said. What have other lawyers said? Human Rights lawyer, Francis Xavier Sosu who visited the duo while they were kept in Bureau of National Investigations (BNI) custody confirmed that they had been subjected to abuse. He said evidence could be seen in their demeanor that the abuse had taken a psychological toll on them. “You can see the fear,” he said. Other persons who visited them said physical evidence of abuse could be seen on their faces. “We are happy they have been transferred from police custody to BNI custody,” one of the lawyers said. Meanwhile, the defense team says it is working to assemble a host of eyewitnesses of the altercation to testify in court. Some of such eyewitnesses who have spoken to the media say the police officer chased down the driver in his sprinter bus and accused him of jumping a red light and assaulted the driver repeatedly. After the driver had enough, he returned the beatings, assisted by his conductor (mate).